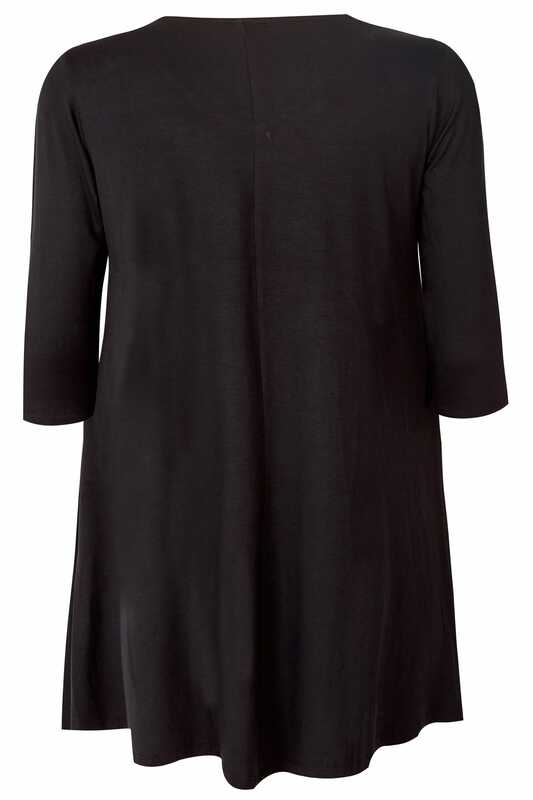 Made from a comfortable jersey fabric, this longline tee is designed to give a flattering swing shape. 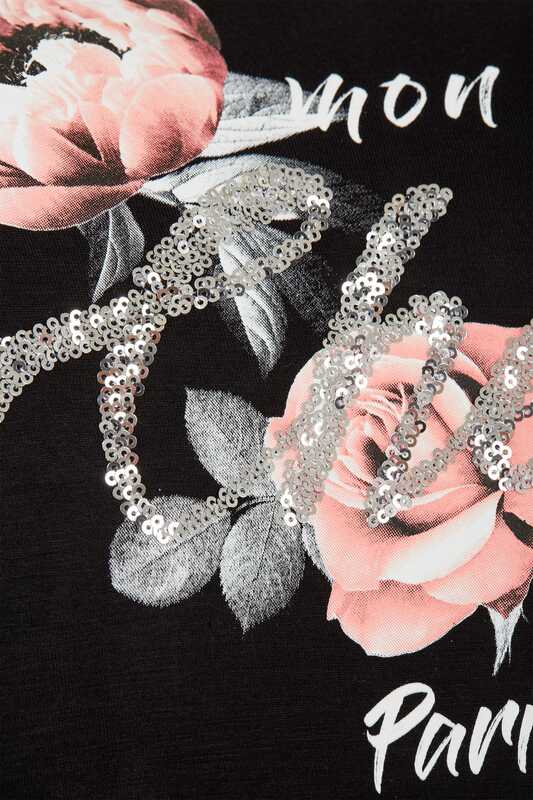 Featuring sequin embellishments and a floral print, it is a chic addition to your casual collection. 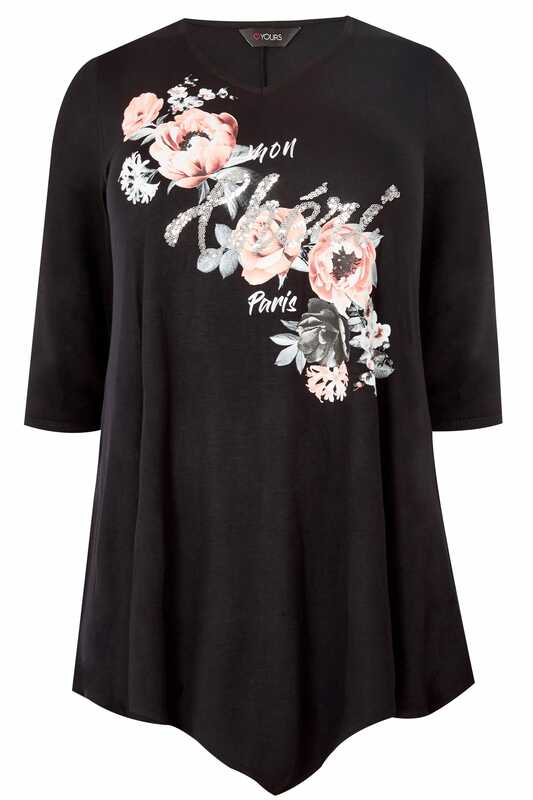 Team with leggings or denim for a stylish daytime look. We love the sequin finish.